Let me say first, OGYG is the group that kicks-off TFR: Music Review Show, where we here at the film review expose music that is Hip Hop & Hip Hop influenced, to say-- this is the music we'd like to hear in films-- Independent & Hollywood. So Filmmakers, producers, score/soundtrack compilers-- contact the artists spotlighted on TRF: Music. Second, Attention Hip Hop Artists and Artists influenced by Hip Hop, submit your songs & videos to The Film Review: Music Review Show. Submit videos and songs to: lordlandenterprises@hotmail.com, include: Your Name, Group Name, Label Affiliation, ISRC Video Code; Contact Number & Contact Email. Label Subject - Attention TFR: Music Review Show. 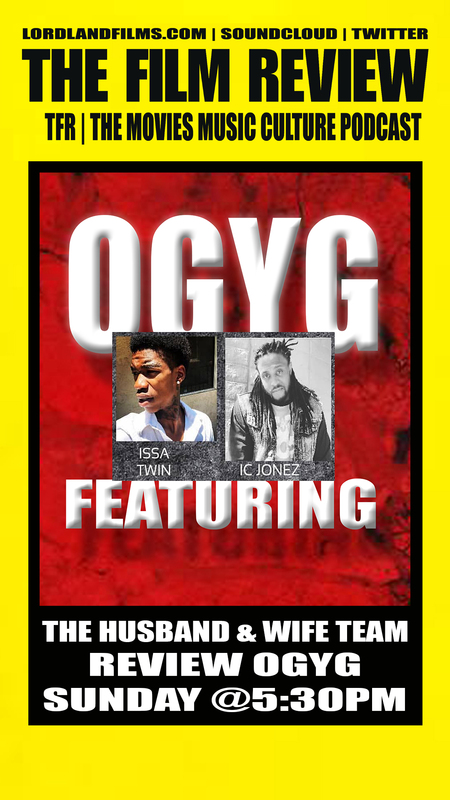 Now, the 1st The Film Review: Music Review with the first Artist/Group to be reviewed OGYG featuring Issa Twin and I.C. Jonez - 'Woke'. The opening is an introduction to what's to come-- focusing on the melody w/ both Emcees splitting a 16-bar count- Dope! 'Woke' puts one in the mind of UGK's 'International Players Anthem' where Andre 3000, from Outkast, opens w/ a 26-bar verse over the melody from 'I Choose You' by Willie Hutch, establishing the melody of the song before David Banner's beat production drops on the one. The melody on 'Woke' is mad-crazy! But when the beat drops-- the repetitive hi-hat, with the hand claps, instead of a snare drum, pushes the song. The claps hit while the Emcees place syllables up against it. The Mix is on point! The bass-line floats in the back, accenting the kick drum, sounding as if it were played with live instrumentation. The greatness of the song is how the producer, BlackMayo, chose to make the bridge the bed Issa Twin and I.C. Jonez flow their collaborative verses-in. Giving the illusion the two are flowing over elements being played by musicians. The Flow on 'Woke' is now, but gives homage to groups who could trade lines within verses, groups like: Run-DMC, Whodini, Stetsasonic, The World Supreme Team and other great Hip Hop acts! The Hook/Chorus/Refrain-- the most important part of a song-- finds good standing in the 'Woke' record, as both Issa Twin and I.C. Jonez trade lines w/in the hook, which is catchy and most def-- sing along friendly-- like follow the bouncing ball. It is the topic and topical.